Hello new adventurer! Looking to start a new journey in the land of Perfect World? Well then, this guide has been created just for you. We'll be covering the basics of Perfect World and how to begin your adventures. In Perfect World, there are 5 main races that inhabit the land, each with two distinct classes. After logging in, simply choose "create a character" to get started! Humans have been on the land since the beginning along with the Untamed and Winged Elves. Many wars were fought between these three races, in which humans became known for their battle prowess with a wide variety of weapons, as well as their ability to harness the power of water, fire, and earth. They can train to be Blademasters or Wizards, choosing to either be the melee physical damager dealer or a magical ranged area of effect nuker. Untamed are a feral race of evolved animals with a humanoid appearance. The males of the race retained their barbaric animal nature, aptly named Barbarians, allowing them to be an unstoppable force on the battlefield. The females of the race honed their control of magic while also increasing their harmonious relationship with nature, allowing their Venomancers to be adept at training wild animals in addition to casting (and purging) debilitating magic. Winged Elves are the only race in perfect world that start the game with the ability to fly! These demi-gods have the best qualities of mortals and gods, allowing them to excel in highly dexterous skills such as archery, while also having an innately strong talent for magic. The would-be adventurers of this race either choose to become Archers or to help empower their allies as Clerics through healing skills using the power of wind, thunder, and lightning. Tideborn are relatively new to the land of Perfect World, having come from the sea itself to settle on the southeastern most island of Perfect World. Well known for their mastery of illusion and deception, a tideborn may choose to be an Assassin, allowing them to excel greatly in surprise burst attacks from literally out of the shadows. Alternatively, a tideborn may choose to be a Psychic, harnessing the power of the waves with magical skills that slowly whittle down their opponent, similar ocean waves on rock, or they may rejuvenate their allies; flowing between offense & defense smoothly. Earthguard are a race born from the very earth itself, having only just recently awoken from their slumber. They are a race of defenders, only called on when the land is in dire trouble and in need of their pure soul's power. A Seeker is a two-handed or dual wielding earthguard class that strives to strike a balance between the arcane and martial arts as they utilize both metal elemental spells and physical melee attacks. Mystics are master casters of nature's lifeforce, able to cast enhancements, resurrect others, and summon plants & powerful creatures to aid them in battle. 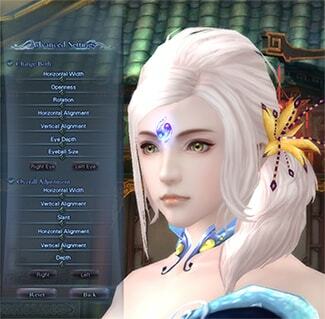 Perfect World International has one of the most robust character customization options you'll find in any online game. You can choose a preset to quickly get in-game to play or work as a base to modify. 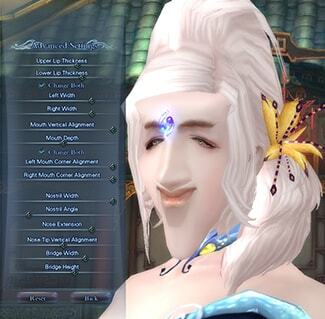 With a whole host of sliders to customize anything from eyebrow depth to leg or arm size, you can spend quite a long time just perfectly creating the character you want the most. 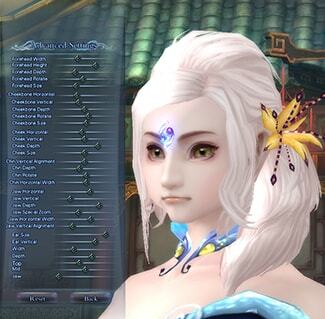 That last one is a bit extreme, but it shows just how far you can push the parameters of PWI's character customization! After creating a new character, you'll be entered into the starting zone, Astral Domain. You'll see in the top right a large question mark button. Click this button to open up a series of helpful windows and guides. Sheomay, the PWI guide, will help you on your journey with useful tips and instructions. Simply click the arrow "review" button on her window to go through her lessons or bring her up with the I key and use her to identify aspects of the UI for you. the encyclopedia is just for you! Upon entering the Astral Domain, you'll be introduced to the world and asked to talk to key non-player characters of the land. Perfect World International makes this simple and stress free with it's auto-pathing system. 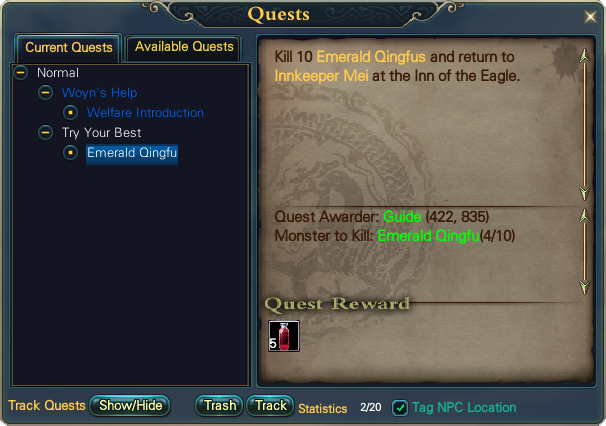 All you need to do is click the NPC name on the Quest Tracker window to be taken straight to them! Talking to NPCs in Perfect World is simple. Just click on them to first bring up their dialogue window. At the bottom of the window you will see quest options if they have a colored flag over their head. An example is below. Remember, once you finish a quest with them, make sure to talk to them again for the next part in the quest chain! In the Astral Domain, you'll be given an item that allows you to use 4 higher level skills for your class temporarily. This gives you a little taste of the power to come. 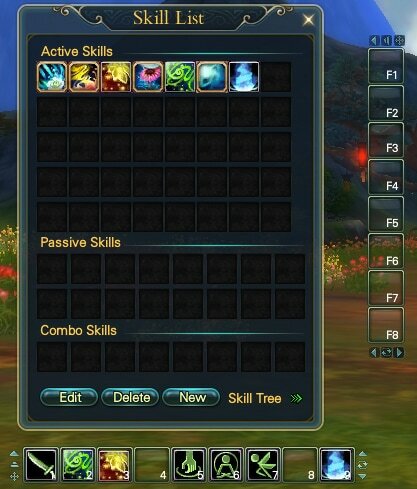 To slot new skills onto your action bar, hit the R key, to bring up the Skill List. If you take a look at your Action Bar at the bottom (1-9), you will notice you already have actions slotted into it. The first slot is the basic attack icon while the second and third are class skills. 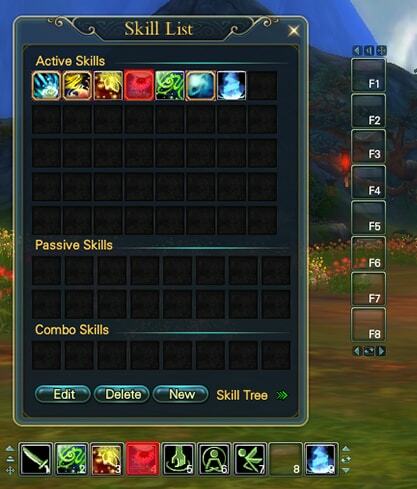 To slot new active skills into the Action Bar, simply drag and drop a skill icon on to the slot of your choice. That is all you need to do. 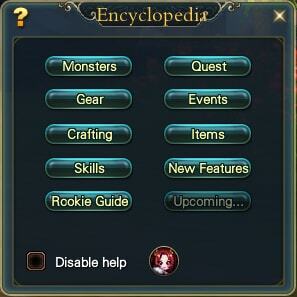 Mousing over any skill icon will create a tooltip window detailing the skill. Now passive skills cannot be slotted as they are always in effect. "Combo Skills" are custom made skill macros that goes from one skill to another in a chain. Clicking "new" will allow you to make a combo skill. "Skill Tree" shows your class' skills and their requirements. To be able to fend for yourself in Perfect World, you'll need to make sure you are properly equipped with gear. To do so, all you need to do is open up the Inventory Window (B) and right click on a weapon, armor piece, charm, wing, etc to equip it! Be careful with items that are bind on equip, as once an item is bound to you, it will be difficult to impossible to unbind it. A bound item cannot be traded or auctioned. Quests in Perfect World are numerous and will take you on grand adventures throughout the expanse of the land. Once you finish the starting zone, you'll be put into Perfect World to begin your adventure. Hit Q to bring up the Quest Window to see what you currently need to complete. 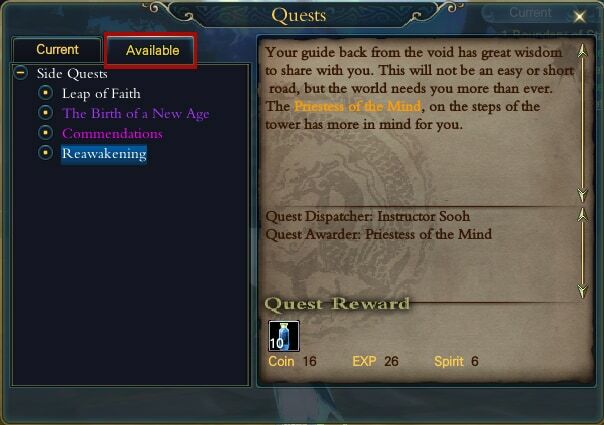 As you can see, there is auto-pathing text inside the quest window just like the quest tracker window. This text is generally green unless in the tracker window. Inside the Quest Window, you will be able to view the details of the quest, the quest giver, the awarder's location, and the reward itself. After a certain time, however, you'll be exploring all over the land so much that you might not know what to do next. If this ever happens, all you need to do is select the "Available Quests" tab on the Quest Window to see what is available to you. As you level up, you will be surprised at how much is just waiting for you to dive into and explore! As you carry out quests and take down wraiths (monsters), you'll notice your attacks doing varying damage to different monsters of the same level. This is because of the element system in Perfect World. Each wraith in the world has a different element type which responds differently when attacked based on the attack's elemental properties. This can decide many battles, especially for casters as they rely heavily on powerful ranged elemental attacks. Players may increase their resistances to certain elements, reducing the damage they take from that element's attack whether it be from a wraith or player. As you kill wraiths, complete quests, use special items, etc. you'll find yourself gaining more and more: experience, coins, and spirit. You will also gain more character attribute points, 5 per level, to be distributed amongst the 4 main attributes of PWI. Each class can be said to benefit from specific attributes based on their design, however, even within this there is room for customization towards your own preferences of play. There are items in the PW Boutique that can reset your points, allowing you to optimize your build as you master your class. Vitality (VIT): Governs health points and health recovery rate, as well as physical & magical defenses. Magic (MAG): Governs mana points, magic attack, magical defenses, mana recovery rate, and is a req. for arcane armor. Dexterity (DEX): Affects accuracy for physical attacks, critical strike rate, evasion, and is the source of missile/dagger attack damage for archers and assassins, respectively. It is also a requirement for heavy and light armor, especially light armor. Other than assigning attribute points, you will want to learning skills to make use of all that coin and spirit. Both spirit and coin are needed to train each skill, as pictured below, and to also upgrade the level of a skill too. For the most part, spirit can only be obtained from finishing quests and killing wraiths, actions that also give you experience points. This means that as you level, you won't be able to learn every single skill available to you for your level. Deciding on the path your character is going to take skill-wise will be the defining feature of your character for many levels to come. Another aspect to your character's growth is called Spiritual Cultivation. As you explore, you will need to cultivate your spirit towards understanding all truth and your place in the universe. Everyone starts off as spiritual initiates and can choose to begin on their path towards being either a Sage or Demon at Lv9. Every ten levels, a new quest chain will become available to progress. Once completed, anytime between Lv80-105 (max), new skills become available as well as modifications to existing skills based on the path chosen. There are many steps towards that end result, and some skills may require you to be at a certain stage of spiritual development before they can be learned or upgraded. Last on the list of basic things to know is the ever useful and updating Perfect World Boutique! Push the O key to bring it up starting on the "New" tab of the shop page. This boutique is updated weekly with special deals on a wide variety of items such as fashion clothing and fashion weapons. You can also find a bunch of utlity items such as the Geographic Map which gives you every teleport location (every town has one), inventory expansion stones which expand your inventory, or charms that restores mana or health as it hits a certain threshold. To purchase items, you will need to transfer or charge ZEN into your Perfect World server. One dollar equals 100 ZEN which equals 1 gold in-game. At the auction house, players may trade gold for coins, allowing the acquisition of gold without spending a single dollar. The tab to the right of "Shop" is "Events" which takes you to the Event Boutique. This boutique works off of event gold and silver, which can be obtained from events, giveaways, and promotions. This boutique carries less items, but still has great value as event gold can only be acquired in-game. Using this boutique, you can pick up some useful items as well as flyers and mounts too. That does it for learning the basics of Perfect World International. However, this game is no newcomer and has been built up to become quite a heavy hitter when it comes to features and depth. To learn more about PWI, you can check out the PWI-WIki here which also has a beginner's guide on it as well as a large amount of useful information! Play hard and have fun adventurer!